We will train you to conduct amphibian surveys in ponds here in Whatcom County. The surveys will occur in early March through early May . No previous experience with frogs and salamanders is necessary. 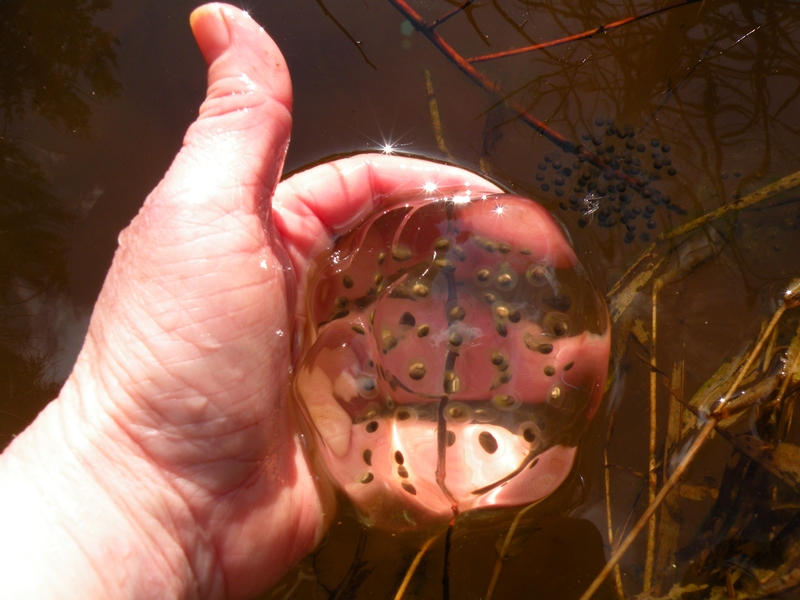 As a volunteer, you will learn to search for, identify, and count amphibian egg masses. Data obtained will provide essential information for amphibian conservation. We need to know what’s out there and where it is. We ask you to commit to attend a six-hour training session in February/March and to conduct at least 12 hours of survey time between February and May 1st. Click on the “Volunteer” tab for more information. Whatcom Land Trust Lands. Whatcom Land Trust is a host of this project. 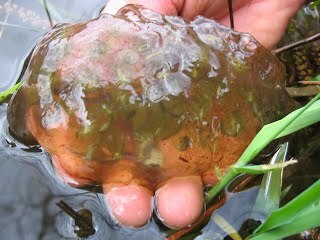 WCAMP volunteers will be working on egg mass surveys at several different Whatcom Land Trust holdings. This information will provide important baseline data on the presence and general population status of pond breeding amphibians on these sites. These surveys will be scheduled events and announced on this website and the Whatcom Land Trust website. Lummi Heritage Trust Lands. Lummi Heritage trust has teamed with WCAMP to work to build the database about amphibian occurrence on their lands. We have scheduled a training for volunteers living on Lummi Island this year and will conduct two group forays on their lands. Whatcom County-Wide Surveys. WCAMP volunteers will be surveying random sites throughout Whatcom County to provide baseline information on the presence and general population status of pond breeding amphibians in Whatcom County. These surveys will be volunteers’ choice. Each site will be visited at least three times during a breeding season starting in early March and occurring every two weeks.